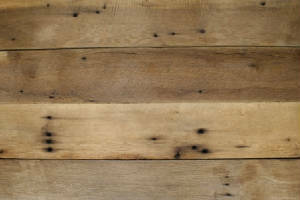 The beauty of this distressed old growth wood is so beautiful and different from wood you can purchase today, it cannot be reproduced. 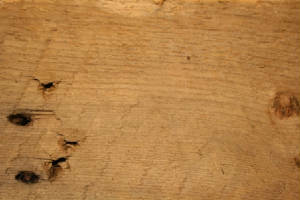 The acquired characteristics of this naturally aged product include cracks, knots, peg holes, surface checking, insect scaring, nail holes, and color variation. There is no way to find the same two boards due to this natural aging process. It sometimes takes over 100 years to acquire this natural beauty. 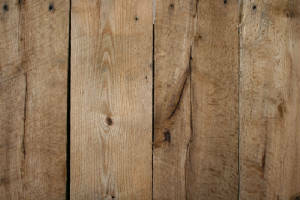 Below is an example of the kinds of barnwood that can be found in most barns with each board having unique characteristics. 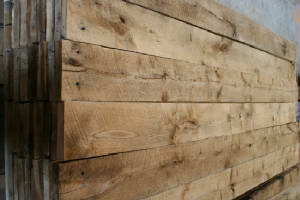 We stock aged rustic pine, naily roof boards, ash, beach, white oak, red oak, elm, and hickory planks reclaimed locally from antique barns here in Michigan. 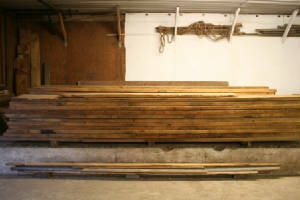 Most of this unique vintage barnwood is washed and dried and store inside. 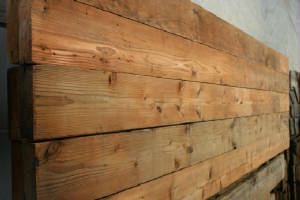 Washed rough sawn pine brown board from the interior of the barn. 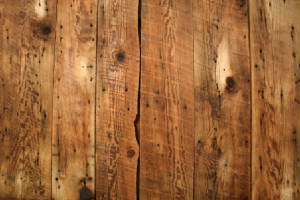 A lot of wear and aged character makes this 1" thick material perfect for making furniture, unique custom projects, wall covering, wine cellars, trim, and faux beams. Washed and dried and ready to install. $5.00 a square foot depending on quality. This is by far one of our best sellers but we realized that folks had no idea the labor process to produce such a cool product. 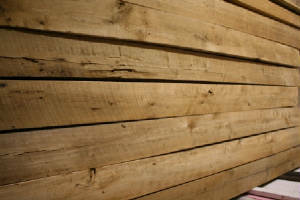 So please read our Naily Roof Board Process Blog to understand the lengths we go to bring you this very unique material. 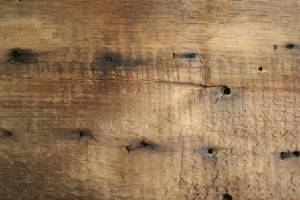 Coming from the roof of the barn these have lots of nail holes, varying colors, and wear giving them the most character of any antique barnwood. 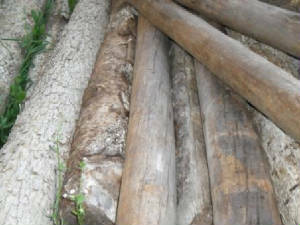 We have a large quantity in 1" random length and width. Great for walls, wine cellars, and man caves. 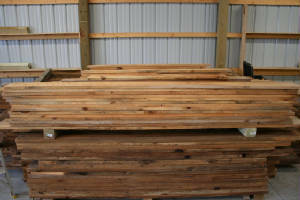 This batch has a lot of what we call twice reclaimed material meaning it was reclaimed many years ago from older barn roofs and siding when the roof on the barn we have now reclaimed was redone. 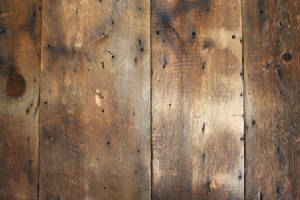 This gives some of these boards very unique features like a naily weathered brown board side or a good naily side on both sides to choose from or even both options and more. $6.00 a square foot depending on quality. 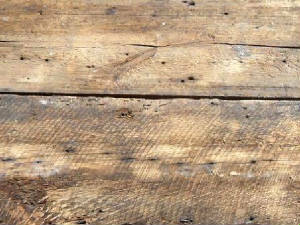 Coming from the roof of the barn these have lots of nail holes, varying colors, giving them the most character of any antique barnwood. We have a small quantity in 1" random length and width. Great for trim, walls, and man caves. This batch has a lot of live edge so if you want that unique one of a kind look this batch will be great. if you do not want any live edges we will not allow picking thou to get all square edge material out but measurement wise we have allowed for the live edges to be cut off. 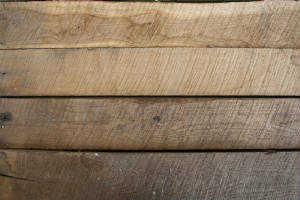 For those who are looking for a live edge this material can be very unique. $5.50 a square foot depending on quality. This batch has a variety of colors and textures. There is everything from oak, maple, elm, pine, basswood, but mostly ash. It did get some soft spots from the shingled roof leaking so we blasted that material away leaving an interesting uneven texture and color with some big wavy dips. 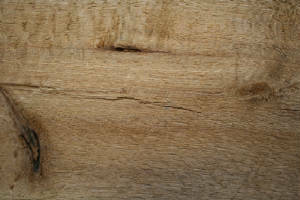 There is also a lot of live and bark edges. 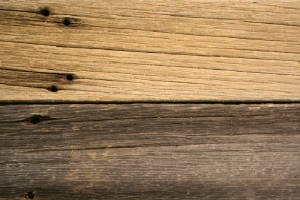 So if you are not looking for this kind of very unique rustic character for your project this is not for you. We could not capture all the variations in just a few pictures so hopefully this description will help. $5.00 to $6.00 a square foot depending on quality. Many like to do a mix on their wall. This would be a great batch to go with. We are trying to sell in bulk or layers as stacked. 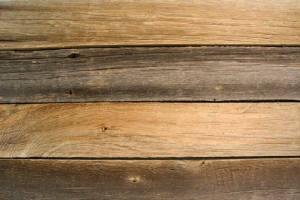 As you can see from the photos there is a great variation in color, texture, and width. Exactly what many designers and do it yourselfers look for. We have another similar bunk of 456 feet. Not as varied it runs from 8' to 13'. Again because of the way it is stacked we must start at the top layer and work our way down as we sell unless you are buying in a larger quantity we will split in half if you need the longer length. Let us know how long you are looking for and we can check what length we are at. 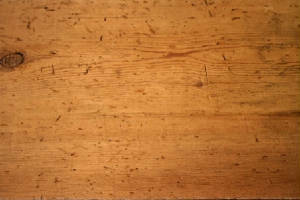 $4.50 to $5.00 a square foot depending on quality. 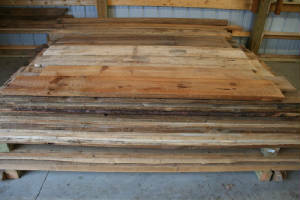 We have a very large quantity of circle sawn 1.5"x8". More than 4 more stacks than what you see here. We have them in 5', 6'6", 7', 9'6", 10' and 10'4". Have quite a few in gray in the 5' and 10'4". Let us know length and quantity desired before you come out so we go to the right location. Reclaimed from the Mason County Fair Grounds oldest stables in Ludington Michigan. Said to have been milled from the wood of an even older barn that stood on the property before it was donated in the 1930s to become the fair grounds. 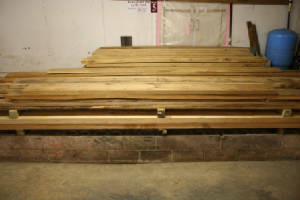 This batch weighs more than most white oak so we have been told it is probably live oak, another sub species of white oak. They say live oak is the heaviest and strongest of the oaks and used for old battleships in the day because it could deflect cannon balls. We hope to get this washed soon but already selling pretty quick. $4.50 a foot for quantities around 500 feet. 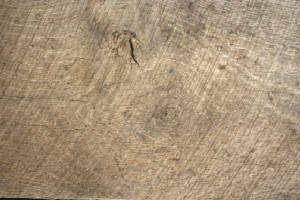 We have a very large quantity of circle sawn 1.5"x8". We have them in 5', 6'6", 7', 9'6", 10' and 10'4". Have quite a few in gray in the 5' and 10'4". Let us know length and quantity desired before you come out so we go to the right location or make sure what you need is washed. Reclaimed from the Mason County Fair Grounds oldest stables in Ludington Michigan. Said to have been milled from the wood of an even older barn that stood on the property before it was donated in the 1930s to become the fair grounds. 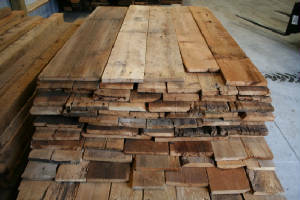 This batch weighs more than most white oak so we have been told it is probably live oak, another sub species of white oak. They say live oak is the heaviest and strongest of the oaks and used for old battleships in the day because it could deflect cannon balls. We have washed some and it is beautiful. Lots of quarter sawn flakes. $5.50 a foot for quantities around 500 feet. $6.00 to $7.00 for smaller quantities. Great for trim work we never get boards this size and get a lot of calls for it. 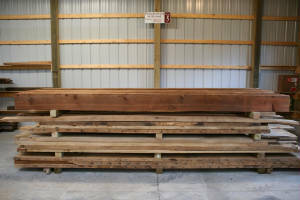 We have a good quantity of this reclaimed from the Mason County Fair Grounds oldest stables in Ludington Michigan. 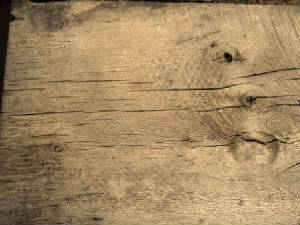 Said to have been milled from the wood of an even older barn that stood on the property before it was donated in the 1930s to become the fair grounds. 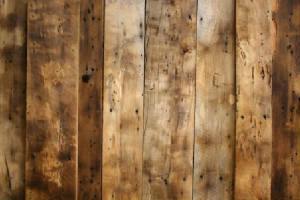 We hope to get this washed soon but already selling pretty quick as trim work, rustic flooring, and accent walls. $5.50 to $7.00 a board foot depending on quatity. 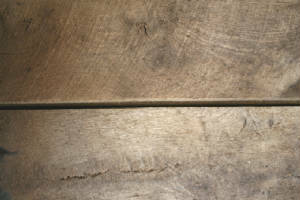 These floor boards come out of a very old tool shed so lots of dings and marks from years of use. 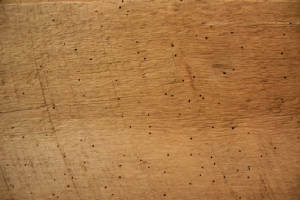 In the mean time many critters made there homes in here so lots of chewed edges and holes giving it a very uneven look if this is something you can use for your project it would be one of a kind. 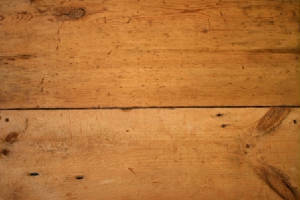 The floor was actually double layered so half is not distressed and just circle sawn wide planks mostly 12" and 13" wide by 15'2" long but some narrower and some wider. Washed and dried and ready for tooling. Mostly 2x8 and some 2x6. Interesting circle sawn on two sides and planed smooth on 2 sides so you can use the side that works best for your application. 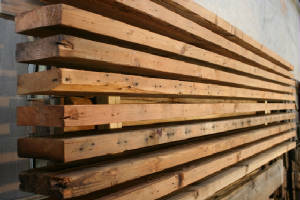 Great for shelves, joists, or faux beams. 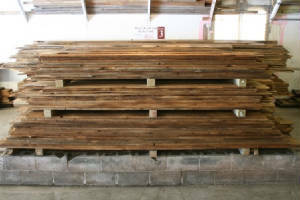 We have a large quantity in random lengths from 8' to 17'6". $4.00 to 5.00 a board foot depending on quality. 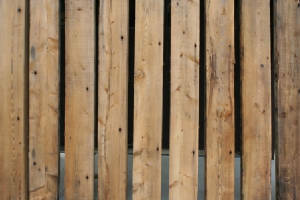 2" Pine threshing boards that have even more of a rustic appearance and wear due to being a softer wood. 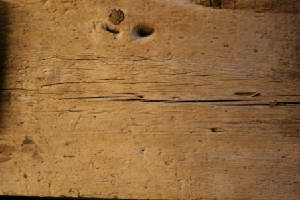 Threshing boards were used on the barn floor between the big barn door openings to support the weight of horses, wagons and tractors that pull in with the crop to be threshed. 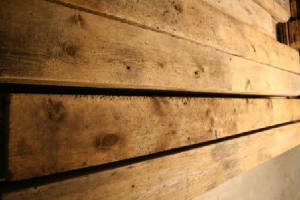 We have a small quantity left of this material in random widths from 8" to 14" wide and 11' to 16'. 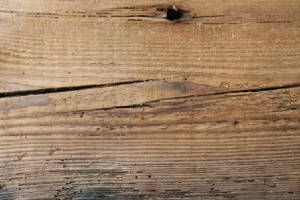 They have all the character you are looking for in barn wood. Great for tables, benches, and shelving. 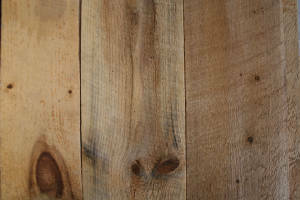 $4.50 to 5.50 a board foot depending on quality. 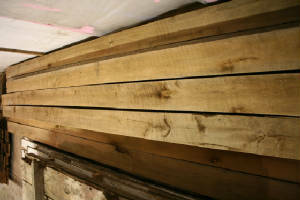 This is some gorgeous 2.5"x9" aged Douglas fir pine stock perfect for shelves or table tops. This has just the right amount of distressing and a beautiful aged patina. Most of this material is 13' long but we do have a few shorts. We only have a few short shelves left at 3'6" to 3'9". $7.00 a board foot or $13.13 a lineal foot. At least we believe this to be sycamore but it really doesn't matter with this stuff. Really just a matter of whether you love it. We have 14 of them when writing this up. Had them chemically and kiln heat treated to kill all the bugs for sure. 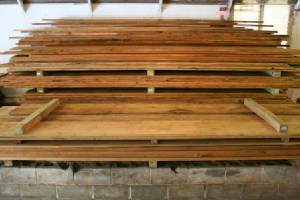 $5.00 to $9.00 a board foot depending on quantity and quality.. Washed weathered brown board is weathered gray siding washed to reveal the aged patina just below the surface. 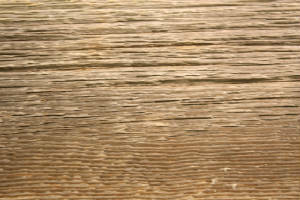 With this process we get a cleaned brown board with all the character of worn weathered siding. Great for the projects you want that weathered character but need a cleaner material. This material is 1" thick. 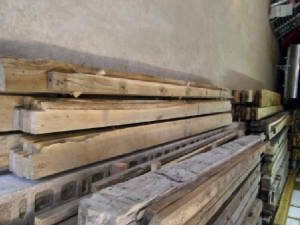 Generally used on walls and sometimes beams. 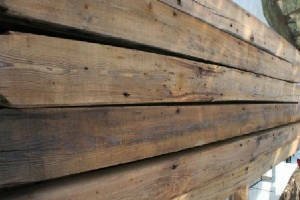 We reclaimed a good quantity of very old 3x8 rustic pine joists with big nail holes. Mostly 11' to 12' they are so old the most of the nails had rusted and expanded in the wood to be quite a challenge to pull. 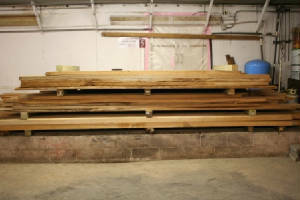 If you would like 1 for a mantel please refer to our mantels page. You asked for it and here it is. 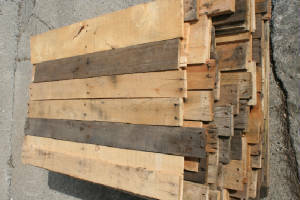 We have gotten a lot of calls in the past for reclaimed pallet wood so we went out on found it. Well let me tell you it is more labor than it is worth and we will not be doing it again unless this add goes over very well. 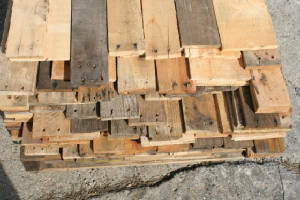 For now we have this small quantity of mixed species, color, texture, width, and thickness pallet wood from many different sources. 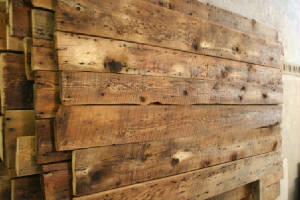 Exactly what folks are looking for to make an interesting accent wall or wet bar. it was a little gray the day we took pictures so the color and shade is off. 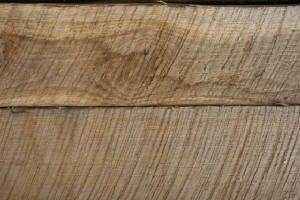 We have a large quantity of circle sawn 2 inch thick oak from 6" to 12" wide. Mostly 8" and 10". Some of what we got in this batch was nailed together with large old square head nails leaving a lot more character on the face than normal. We left some nail heads in for the look if they were not sticking out the back side. 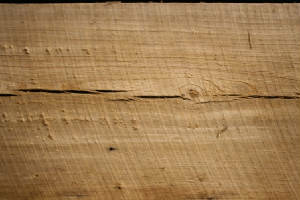 About a third of the oak is quarter sawn and has beautiful ray flecks. 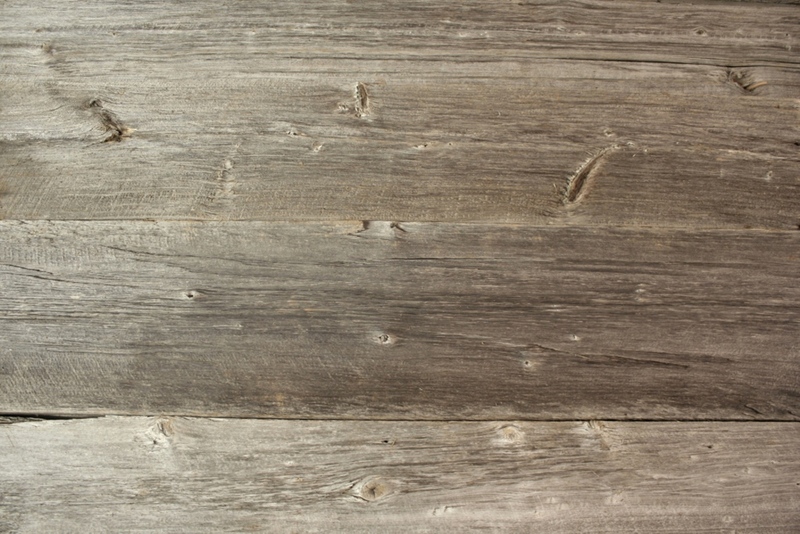 See some good samples of what these materials look like skim planed, full planed, quarter sawn planed, and polyurethaned on our Samples page. Great for tables and counters. Give us a call, email, or Product Request us with you needs and we will check to see what we have that works for your project. $4.50 to $5.50 a board foot. A few short stock left! We get a lot of requests for 4"x6" material but seam to have a hard time getting it lately. 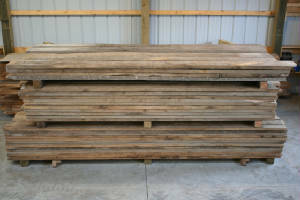 Came across a lot of these white pine 4x6s used as girts, (the long boards or longs that wrap the barn for the siding to be nailed to). 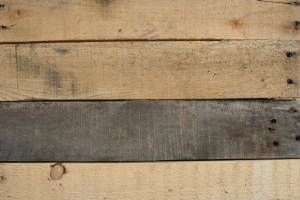 This material has no mortises and a nice distressed character and patina. Come and get them while we have them. $5.50 to $7.00 a board foot depending on quantity. 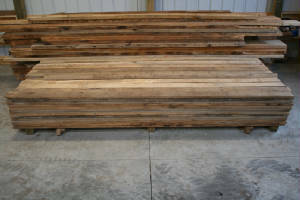 We have a small quantity of circle sawn elm in 2"x12"x14' to 15' and 3"x10"x16'. 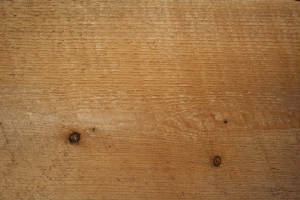 Elm has a understated grain that is durable and perfect for furniture projects. Great for counters and furniture. Give us a call, email, or Product Request us with you needs and we will check to see what we have that works for your project. $3.50 to $4.50 a board foot. 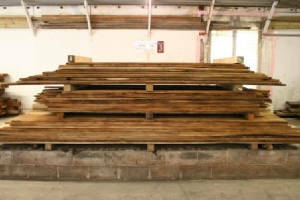 We have a good quantity of old used 3"x4" and 4"x4" circle sawn pine naily on 3" edge. 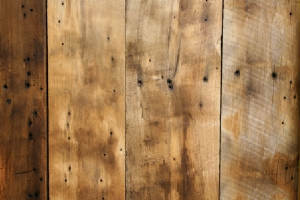 Great condition and just right on the distressing for a old barn wood look. 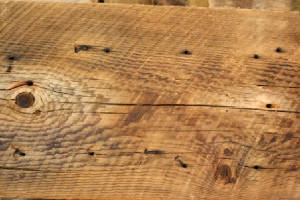 and No nails, just a rustic circle sawn Hemlock out of one of our barns. We have 1x6", 8", and 10" most of them are little over 8' long. Call or email with your specific needs. $4.50 b.f. $3.50 depending on quantity. 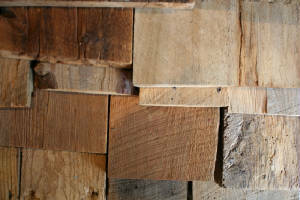 2" oak threshing boards from old barn floors that farmers drove their teams and equipment into the barn on. 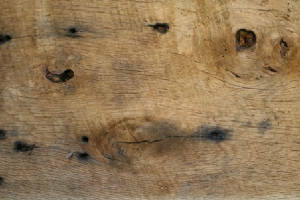 Has a very worn rustic texture from repeated foot and equipment use. 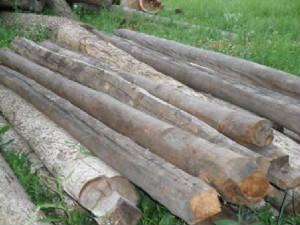 Logs and sleepers with and without bark in various sizes and species. Most are hewn on one or two sides. 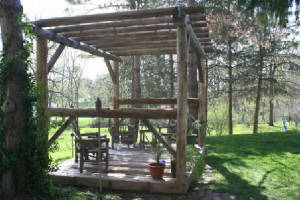 Great for log beams, pergolas and arbors, stair railings, log siding, and log furniture. Barn pegs were used to hold the beams together in these antique barns. You can only get the pegs (trunnels) if you take apart an antique barn very carefully piece by piece. 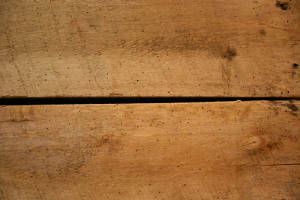 Trunnels were used instead of nails in older turn of the century barns when people used what they could from the land.